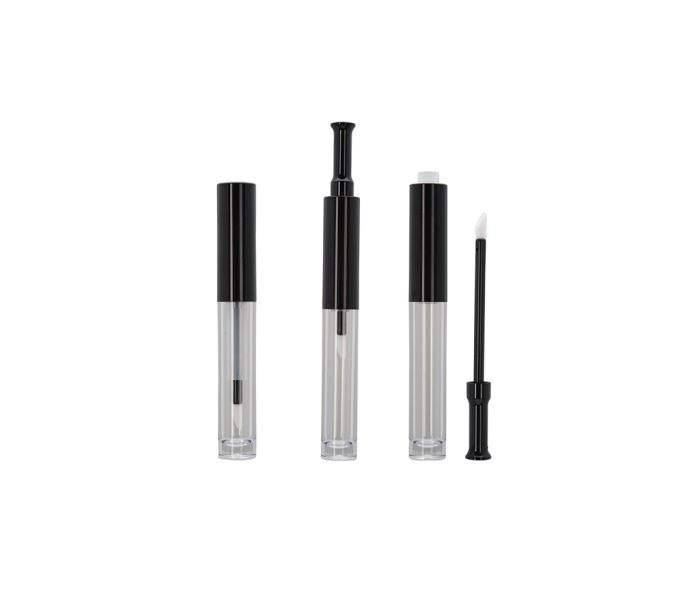 While the pack may look like a typical lip gloss package, it incorporates a patented mechanism which allows for the smooth vertical movement of an applicator wand. Upon rotating what looks like a traditional cap, the user is presented with an applicator wand. After use, the wand can simply be pushed back into the bottle for ease of closing.